I never heard of this famous painting or this artist before but in checking out his work I loved his different styles. Spoiler alert - we'll be seeing more of those in the days to come. 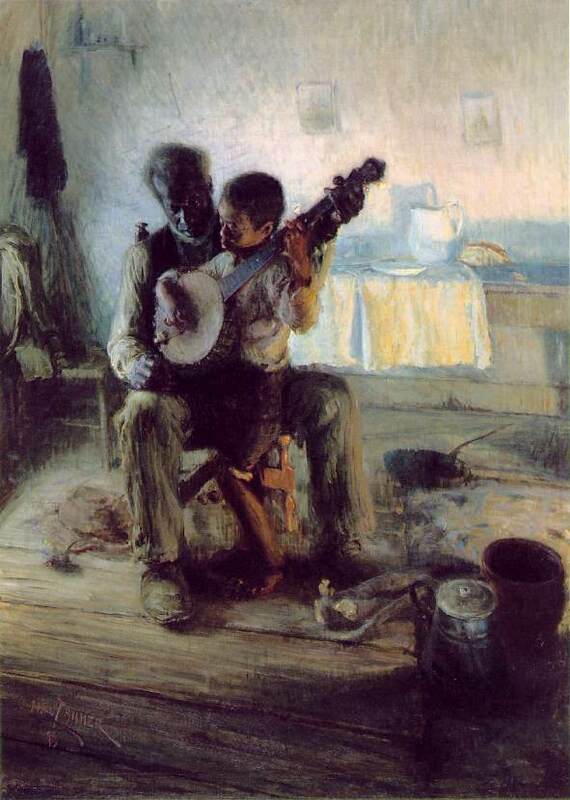 I live about 20 minutes from Hampton University where “The Banjo Lesson” hangs in the Hampton University Museum. It is a privilege to be able to drive down there whenever I want which is a couple of times per year to just see it by myself. I always take my visitors to see it and then we go to lunch. I hope my visitors, friends and relations, can always associate great art with Hampton U. after we have discussed it at length over good food. I took my Cub Scouts to see it years ago. The docent almost died of a heart attack when one of the little boys walked right past the ropes and put his hand on it. It’s got such texture from the paint that I want to touch it, too.